Wondering whether it's worth investing in rockwool versus fiberglass insulation? Both types of insulation share similar heat resistance, can be installed as either batts or loose fill, and require skin, eye and respiratory protection to avoid potential health hazards during installation and handling. But if you are looking for a few additional qualities in your insulation and can afford to pay for them, rockwool insulation offers exceptional fire resistance and soundproofing. When you picture insulation in your mind, you likely imagine a soft, pliable material with plenty of tiny fibers to trap air. In other words, you picture something that looks like wool. You probably don't think of rocks. 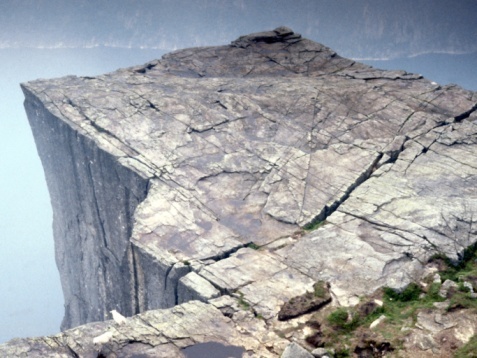 But rockwool is just as its name implies: a wool-like material made from rocks. It also goes by the name "mineral wool: insulation. The specific type of rock used to make rockwool insulation is basalt, a volcanic rock that melts at approximately 3,000 degrees Fahrenheit. Slag, a steel manufacturing by-product, is mixed with the liquid-hot basalt, and the resulting combination gets spun into threads and pressed into standard-size insulation batts. The fact that basalt has to get really, really hot to melt contributes to a surprising quality of rockwool: it is fire resistant to over 1,800 degrees Fahrenheit. It also repels water and offers soundproofing in addition to insulation. Rockwool has an R-value of 3-4 per inch, one of the highest for insulation materials on the market. But what does this mean? The R-value of insulation represents its heat resistance. The lower the R-value, the less it blocks heat. In other words, materials with higher R-values have higher insulating qualities. Don't feel confused if you see an R-value on the label that is much higher; if you buy 3-inch thick rockwool batts, the R-value may be approximately 9-12. This is 3 inches times the R-value. Whereas rockwool fibers are spun from liquid rock, fiberglass is spun from liquid glass and glued together with a resin. It is one of the most popular insulation materials and is cost-effective with an R-value comparable to rockwool. However, fiberglass does not have the same fire resistance as rockwool and melts at 1,000 degrees Fahrenheit. Mineral wool insulation or rockwool typically costs more per inch than fiberglass insulation. Prices can vary at any time, but expect to pay around $0.10 more per inch for mineral wool versus fiberglass. Both types are popular and readily available. Both rockwool and fiberglass insulation can be purchased as rolls and then cut to size to fit between the wooden frame in the wall or ceiling. These are relatively easy for homeowners to install themselves. However, care must be taken when handling both fiberglass and rockwool in order to avoid irritation to the skin and respiratory system. Both insulation types can also be blown in, which requires specialized equipment. This installation method involves spraying loose bits of fiber into the space. 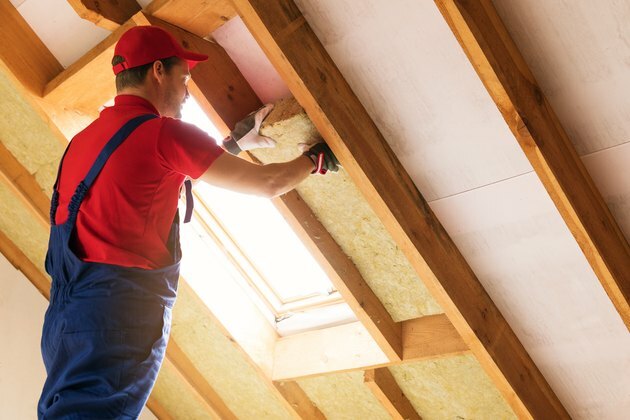 Blown-in insulation works only on attic floors because nothing holds the insulation together. It rests on the floor and can't rest vertically in the wall unless the wall has already been enclosed. You can combine different types of insulation as well as different installation methods. So, if you already have blown-in fiberglass in your attic but need to add more insulation, you could lay down rockwool batts if desired. Do not add more insulation or combine batts and loose fill if the existing insulation shows any signs of moisture. Take care of the moisture problem first before mold sets in. What Are Good Heat Insulators?